He has the best cat-sitter ever. Justin Huegel first met Charlie a few days before he started cat-sitting for him and his sister, and he could tell right away that he and the sweet 5-year-old cat were going to get along great. Charlie is incredibly curious and loves to explore and discover new things — so Huegel decided to build a brand-new adventure for Charlie to explore. 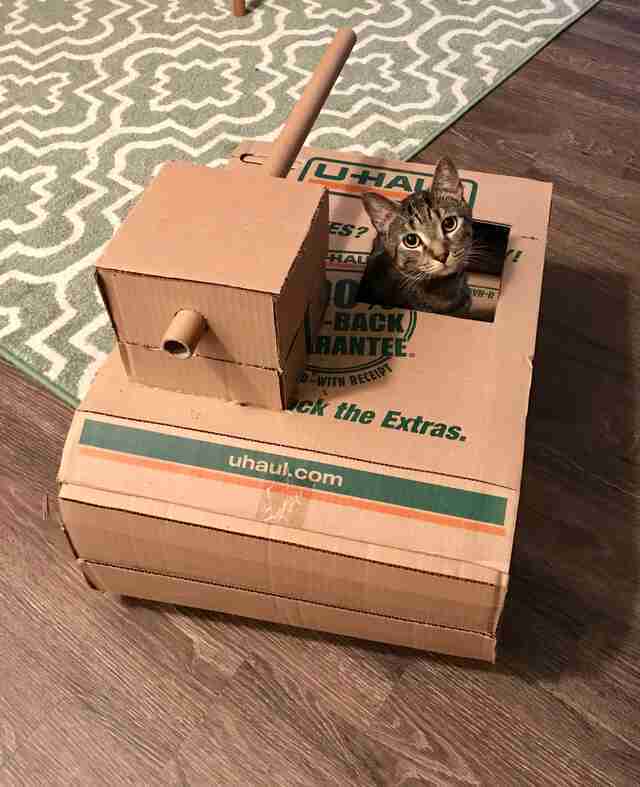 Huegel, a veteran, has spent a lot of time around tanks and other military vehicles from his time in the army, and after seeing a meme of a cat driving a tank, he decided it might be fun to try and make Charlie a tank of his very own. 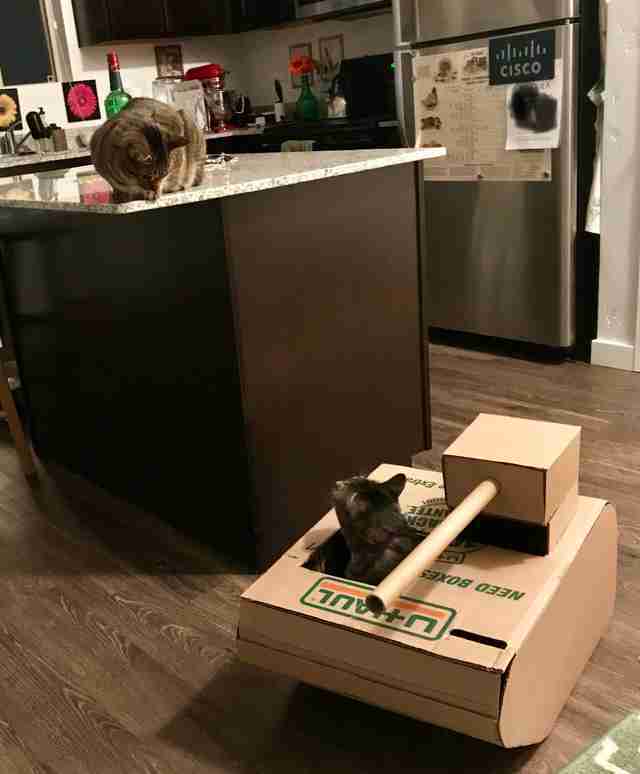 Huegel has five cats of his own and has built many cardboard creations for them, and decided that Charlie and his sister deserved some as well. 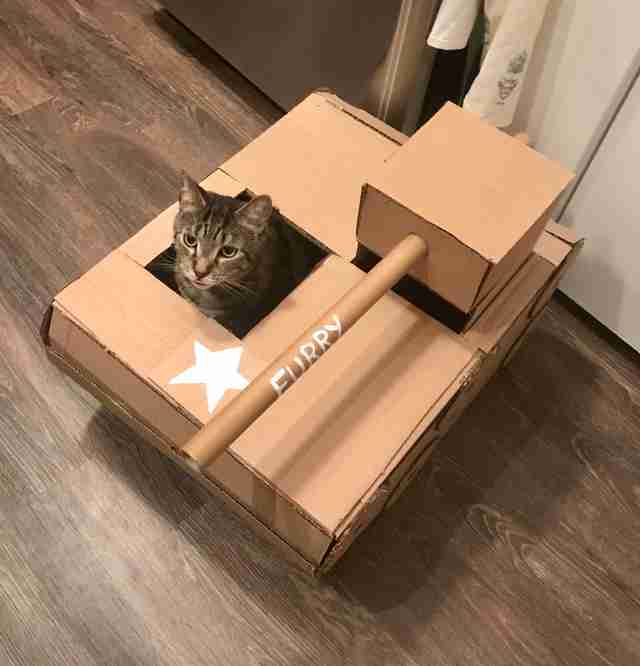 The tank only took about an hour to create — and may have taken even less time, had Charlie not been so interested in the building process. “I wasn't even halfway done before he was climbing in and on it,” Huegel said. … making his sister very jealous of his cool new toy. 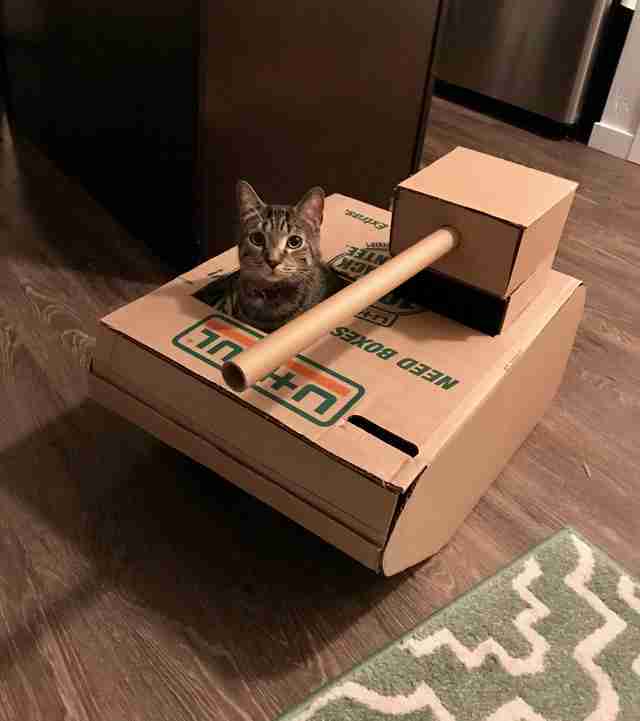 Since both cats are so smitten with the awesome cardboard tank, Huegel has decided to build one for Charlie’s sister Dually as well — if Charlie will allow it, that is. “He spends a lot of time in it now that it's complete, but I get the impression he'll try to take over the next one too,” Huegel said. Huegel is cat-sitting for Charlie and Dually until the beginning of November, and considering how much his charges love his creations, there’s no telling how many he’ll end up making before their mom finally comes home.